For a century and a half Montefrio was the bastion that stopped the Castilians installed in Jaén. In the period of the Nasrid civil wars, its security maintained during seven years a rival king of Granada. It is a hidden getaway destination with a lot of flavor and the authentic atmosphere of Granada. 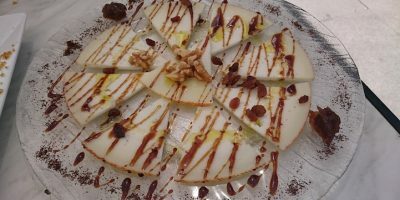 The tapas bars and restaurants where to eat in Montefrío will make your stay much more pleasant. Montefrío is an old town declared National Historic-Artistic Complex. At lunchtime in Montefrío we find an Andalusian cuisine dominated by pork meat and excellent local olive oil. You can start with the asparagus gazpacho (which is a gazpacho to which are added some asparagus previously washed, cut and cooked, once they are cold). In the streets of Montefrío you can also find other dishes such as anchovy soup, arroz caldoso and sirloin or loin of turron (variant of the latter which is sometimes found as a tapa). The meat to the orza is a canned conserved with the meat of the fried pork to very slow fire in its own butter and with a mixture of lemon and a wide variety of spices according to each house (clove, pepper, carnation oregano …) ; the product is then placed in a daggerboard, from which it takes its name. 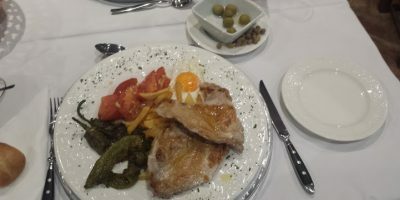 One of the best known dishes to eat in Montefrío are the brains at mojeteo; It is a simple recipe: cooked brains, with the virgin olive oil of the area, fried eggs and salt. To finish the lunch hour in Montefrío, you can savor the wonderful montefrieños sweets, among which are the curd and custard (in some cases made with almonds) or the well-known chocolate croquettes. If you decide to eat in Montefrío some tapas or raciones to share, the Bar Pregonero can be a great option. It is a traditional establishment where it is possible to find many specialties. Its cuisine is highly valued by neighbors and visitors. It has such a beautiful location that it is worth going, even if it is to drink just a beer. 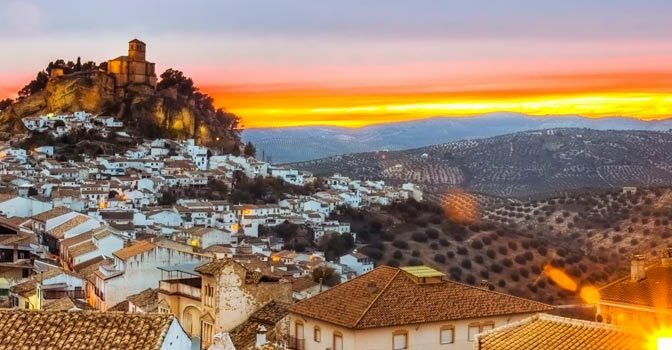 The options for eating in Montefrío are all traditional, with a cookbook based on the cuisine of these lands in Granada. 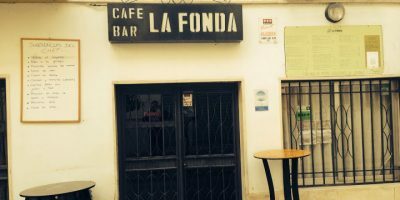 La Fonda restaurant is a classic place to eat in Montefrío. With a long history behind it, this establishment continues to offer its customers a good traditional cuisine made with local products. It has enough space to accommodate large groups. On the outskirts of the town, the restaurant Mesón Curro Lucena is another of the most recognized establishments in the town. Its cuisine is also based on the classic recipe book of these lands, but with a touch of modernity in the presentation of some dishes. It also has ample space for celebrations. 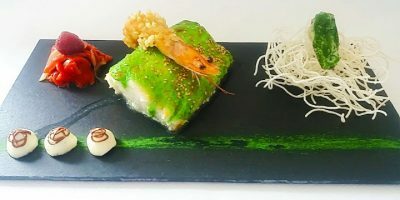 Atalaya restaurant offers a menu where classic cuisine made with local products goes hand in hand with other more innovative culinary proposals.